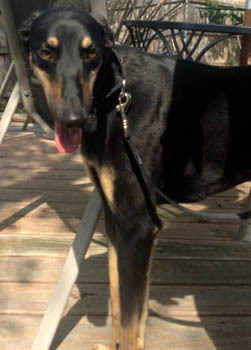 Delilah is a young, black greyhound/saluki mix believed to be about a year old. She came to GALT from a shelter in Vernon, TX. She should not live with cats. 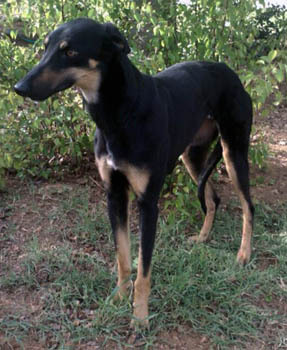 Delilah has been successfully treated for Ehrlichia Canis as her PCR test results are negative! This sweet girl is ready to find her forever home!